Bess O'Connor has been in the health and wellness field for over a decade as a Holistic Health Practitioner, Healing Arts Master, Ayurvedic therapist, health coach, and meditation instructor. She is a dedicated wife and homeschooling mother to four beautiful children. 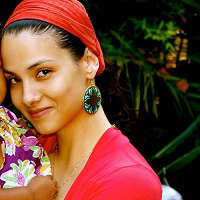 She is passionate about mindfulness and conscious parenting. She enjoys practicing yoga, juicing, and being present with her younglings. Her blog, Makes Natural Sense, is all about living a natural, holistic, and conscious lifestyle. Her wish is to share what she does know and learn what she doesn't (and connect hearts in the process).